As a shepherd of the flock at Ingleside, I turn to the Scripture again and again for direction and insight about how our church can be healthy and pleasing to the Lord. and they increased in numbers daily. Did you notice the beautiful balance in this summary statement? It suggests that healthy churches will grow in at least two dimensions. Growing stronger. The language of this verse is vivid. The picture is of an impotent limb being made strong and useful. The same word is used in Acts 3:7 of a man lame from birth being healed and his “feet and ankles were made strong” (ESV). What was once weak and unable to bear weight became firm, solid, and useful. That’s what happens in a healthy church. Faith that is flabby becomes firm. Understanding that is tentative and fuzzy becomes solid. Commitment that is shallow grows deeper. Spiritual shakiness grows strong enough to stand on its own two feet. Spiritual instability becomes faith that is fixed and established. Weakness and immaturity is transformed into strength and service. Do you get the picture? Growing larger. The images in the second half of the verse are equally powerful. Three words are important. “Increased” – the root word means to exceed, to abound, to be over and above. “Numbers” – the Greek word is “arithmos,” from which we get our English word “arithmetic.” “Daily” – it means every day, day by day, day after day. The numbers of people in the church increased steadily. The number today exceeds yesterday; the number tomorrow should be over and above the number today. 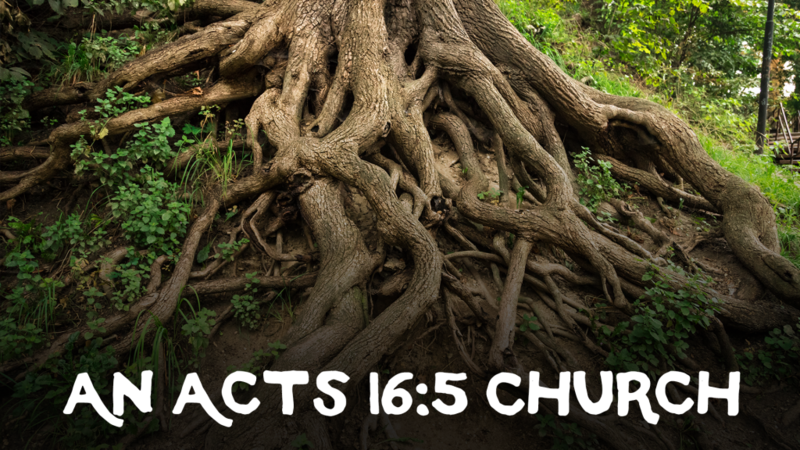 Do you believe Ingleside can be an Acts 16:5 church? Do you believe that we can, by God’s grace, grow stronger and larger? Some people say it can’t be both. If you choose stronger, it must be small. If you choose larger, it must be shallow. Such thinking is less than biblical and dishonors God. Growing stronger and larger is what God intends and what brings great glory to his name. I hope you will join me in praying and working to make Ingleside an Acts 16:5 church!